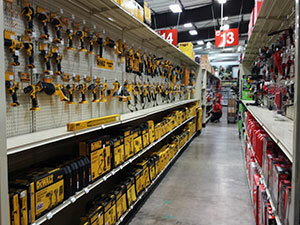 BIG R has all the tools you'll need for your building project. We offer tools and tool boxes by Dewalt, Delta, and Stack-on. Plus we have air compressors, generators, and floor jacks. Check out our log splitters, available in 22, 28 and 34 ton. Come on in and get everything you need for your shop or job site!